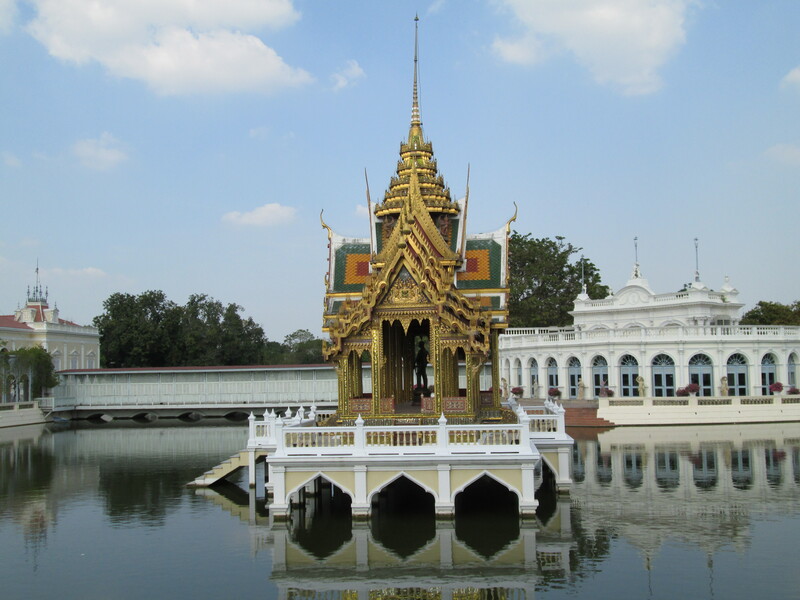 Bangkok, Thailand – a place of rich culture, vibrant people and great food. My wife and I went to Bangkok last January 9 to 13, 2014 and we were very happy with this trip. Bangkok is like a modern city inside an old town that when you look to the left you see skyscrapers, McDonalds and high speed trains. To the right, you see old magnificent Buddhist temples and monks. Bangkok is also the mecca for backpackers going around South East Asia. It is very normal to see lots of foreigners in Bangkok, hence, their long line in the Airport Immigration. In this post, I’m gonna write a quick trip review of Bangkok with our Itinerary and tips on some important things you might wanna know. I hope this will help you in your trip in any way. UPDATE: We went back to Thailand last 2016 as part of our 23 Days South East Asia backpacking trip. For our Thailand budget guide, click here. To search and compare prices of accommodations in Bangkok, click here. We arrived in Bangkok City Hotel at around 11AM (Check-in time is 2PM but if there are available rooms, you will be allowed to check-in already). We took the Airport rail link and alight in Phaya Tai station, then rode a taxi going to BKK City Hotel. Or if you don’t like the hassle, book an airport transfer here via Klook and ride in a comfortable van straight to your hotel/hostel in Bangkok. I suggest to pack light because you will do a lot of shopping in this city! Book your stay here through Agoda! Book Bangkok City Hotel through Agoda here! If you need to be connected in 4G/3G while in Bangkok, you can book a sim card via Klook and pick it up at the airport. Click here to book and find more details. 12:00PM – We ate lunch in one of those eateries near BKK City hotel. Once you step out of the hotel, go right and straight then just below the flyover you will see some eateries and this is no exaggeration, but it is the best food we’ve eaten in BKK! 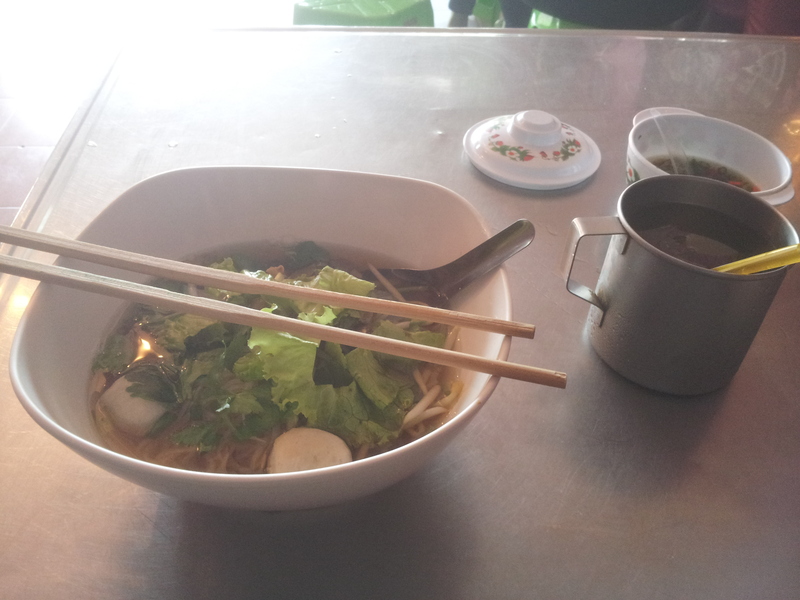 The noodle soup is awesome and is just 45 THB! 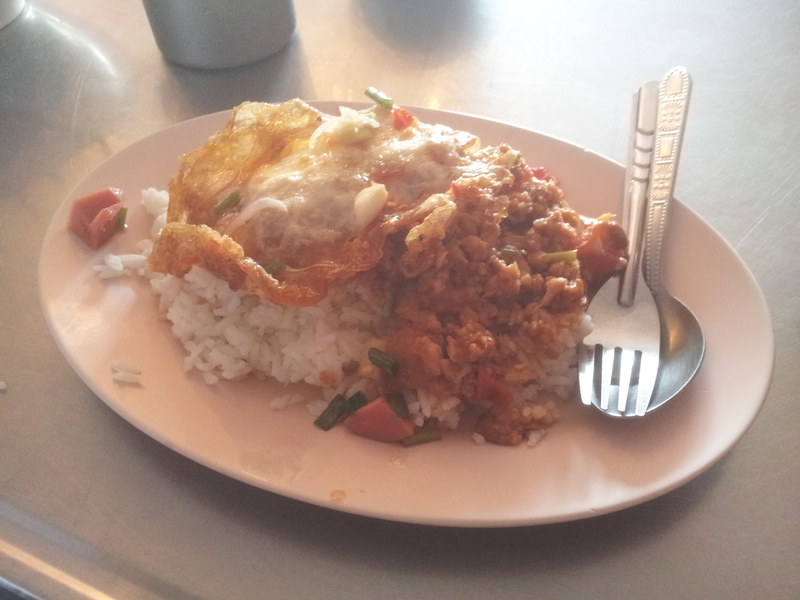 The rice dish is great as well and cost only 35THB. It is also where local office people eat, so you know that it is really good. Remember, eat where the locals eat! A rice dish in Bangkok that cost only THB35. Unfortunately, I don’t know what it is called. Noodle soup with meatballs and veggies for THB45. 1:00PM – Went to Jim Thompson house for a quick guided tour. Here you can check out how silk is made and the beautiful traditional house of Mr. Thompson. My Thai chick… kidding. She’s a silk weaver in Jim Thompson’s house. For a combined tour of Jim Thompson House and Suan Pakkad Palace, book it here in Klook. 3:00PM – Went to MBK mall to shop some clothes and my wife bought some accessories. It is cheap here and you can bargain too. 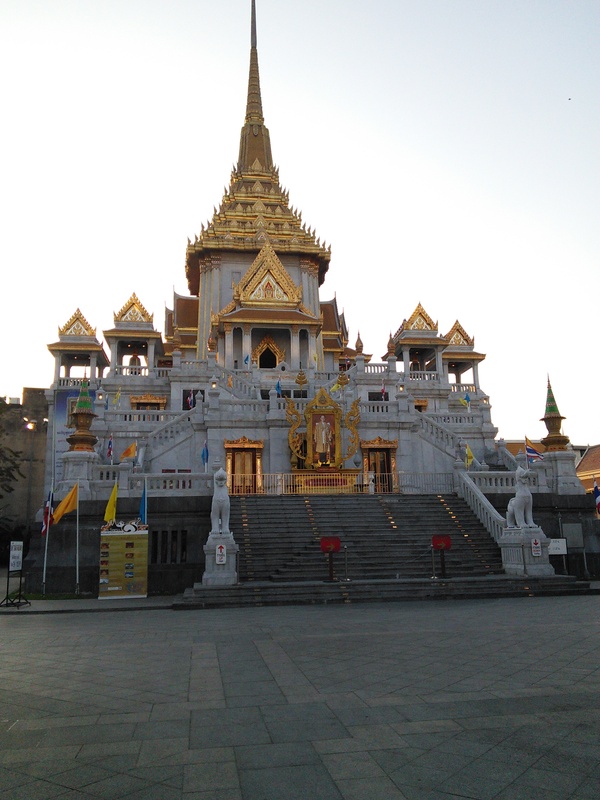 5:00PM – Went to Wat Traimit but unfortunately it is already closed, so we just took some pictures outside the temple. 6:00PM – Chinatown. We ate at T & K Seafood. An order usually cost around THB 160. I don’t know, but you can eat much more delicious food with half the price. We also bought a sticky mango rice in one of the street vendors there for THB 150. I think it is overpriced since it is only THB 50 in Chatuchak. So, it’s your choice if you want to go to Chinatown, but definitely there are other places in BKK worth spending the night to. 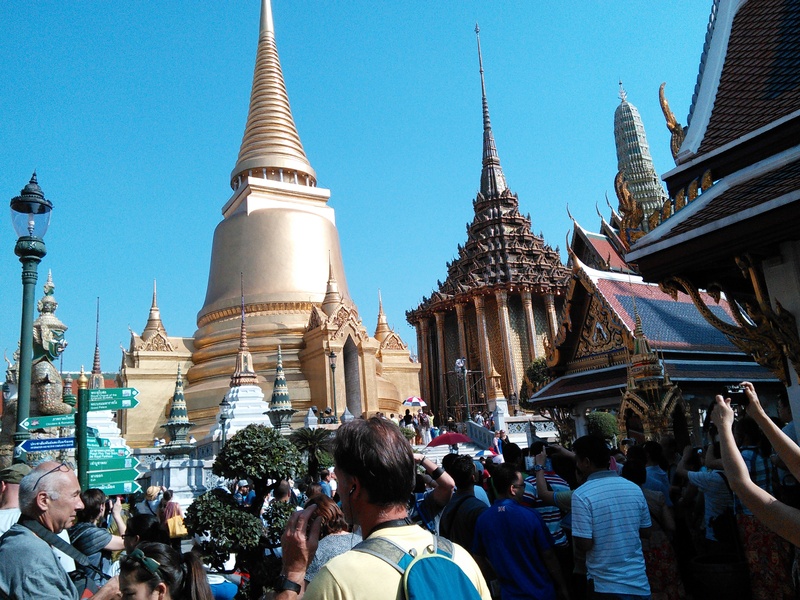 9AM – Went to Grand Palace, Wat Phra Kaew (Emerald Buddha) and Wat Pho aboard the orange ferry. The motor boat is fast but is enjoyable in a good way even though we got a little wet. Ticket to the palace is THB 500. Advice for not getting scammed: Just follow the flow of tourist and ask information from the soldiers in uniform only. Inside Grand Palace. See the flock of tourists? Yep, I heard ya. 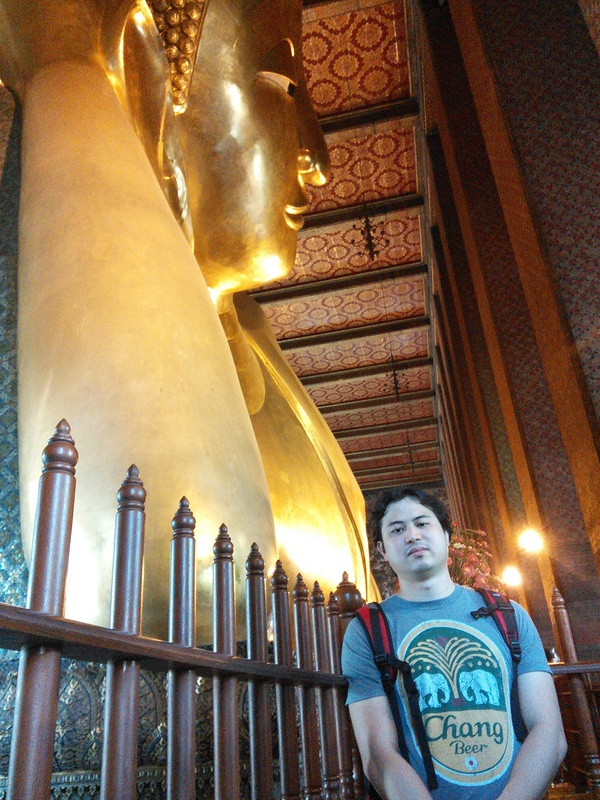 There are lots of tourists inside Wat Pho so it’s very hard to take a selfie (all alone) with the whole Buddha. We managed to have our picture taken at the head side of the Buddha though. 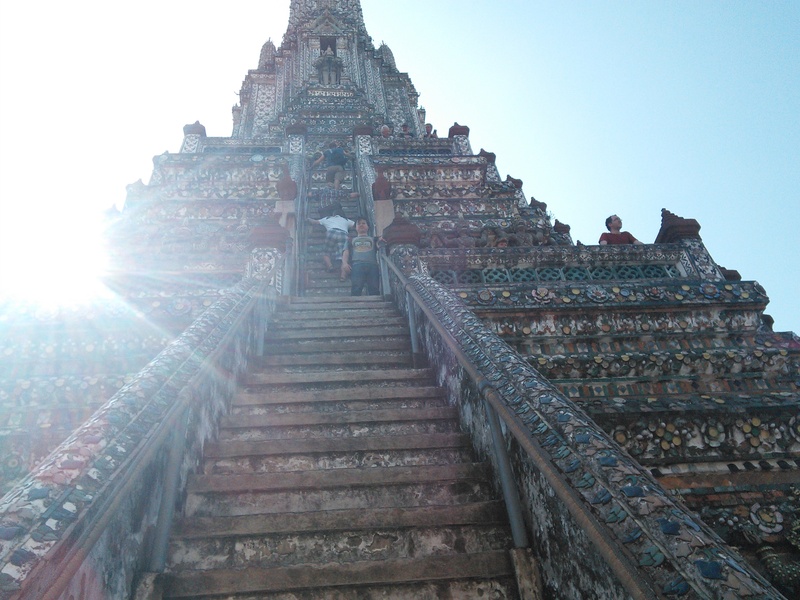 The other side is Wat Arun. A boat ride from the Grand Palace is THB 3. 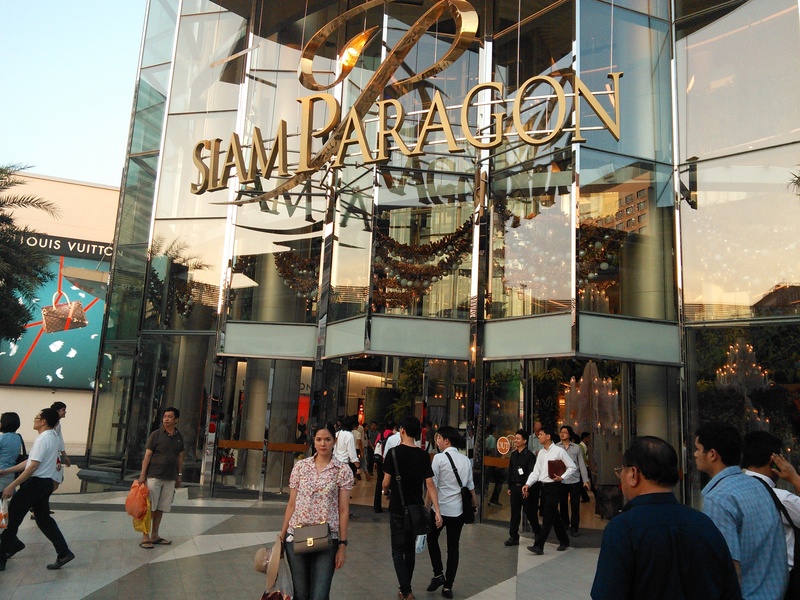 4PM – Went to Siam Paragon mall for some groceries. There are lots of choices of products here specially for those who loves to eat and cook! 7PM – Dinner just outside of BKK city hotel. Food is good and cost 80-100THB per order. 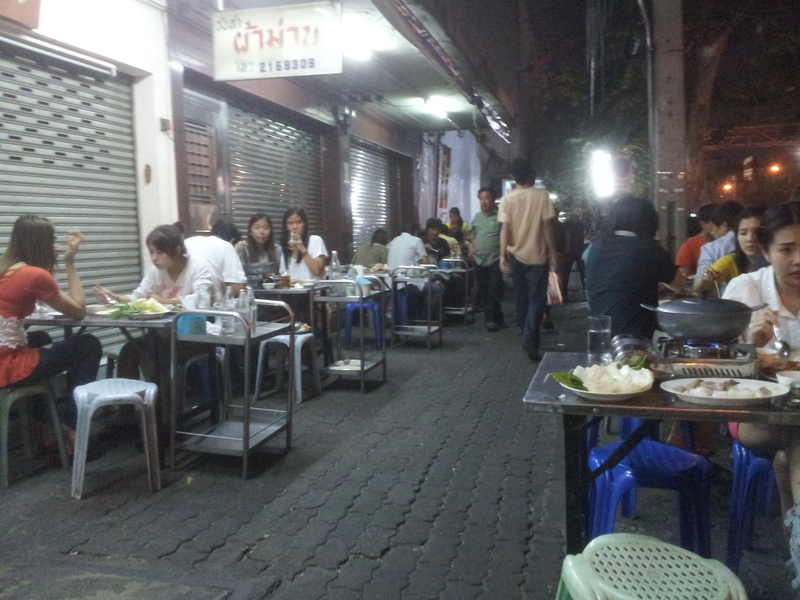 Dinner outside BKK city hotel. 6:30AM – We booked our Ayutthaya tour (and Bang Pa In) in the Chen Family tour just inside BKK City hotel. It cost THB 1060 per pax. You will ride in a van with other tourist which includes hotel transfer and lunch. We ate at a resto in Ayutthaya but the food is not delicious. 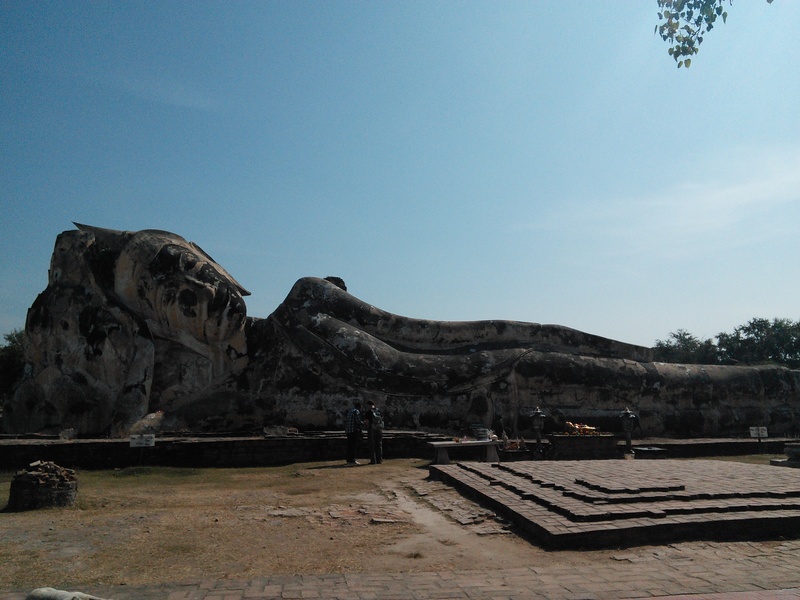 Ayutthaya is a must for history junkies (like me), but just be wary that it is really hot and exhausting with all the walking under the hot sun. It’s nice that we are touring in an air-conditioned van. So if you’re going to DIY Ayutthaya with a TukTuk (which is possible btw), be hydrated with lots of water and protect your skin with sunblock. 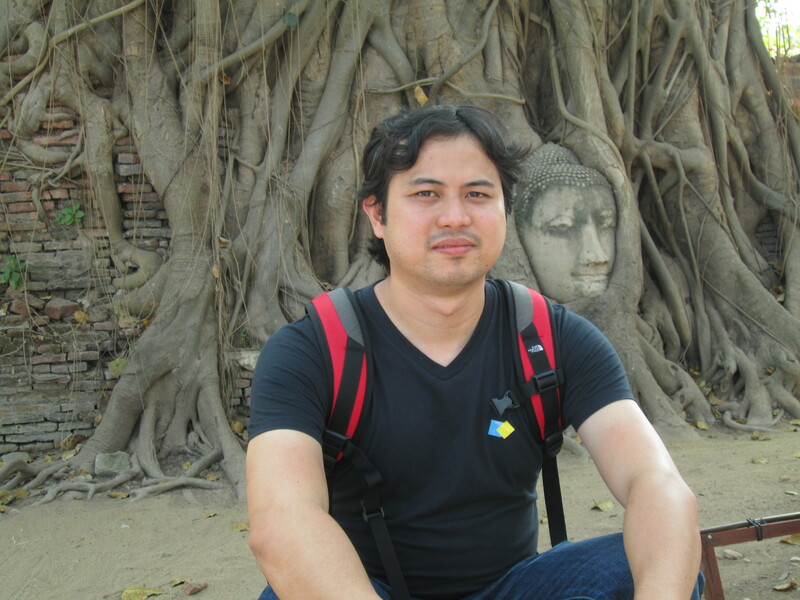 Lots of photo-ops in Ayutthaya for photography enthusiast (not like me). Buddha’s head in tree roots (Wat Mahathat). 4:30PM – We arrived in BKK and we went to Pratunam area for some shopping. Lots of choices here and it is cheap as well. Indra square is nice, but we haven’t got the chance to go to Platinum. We really liked shopping here and for us, this is much better than Chatuchak market. You can get awesome discounts too. 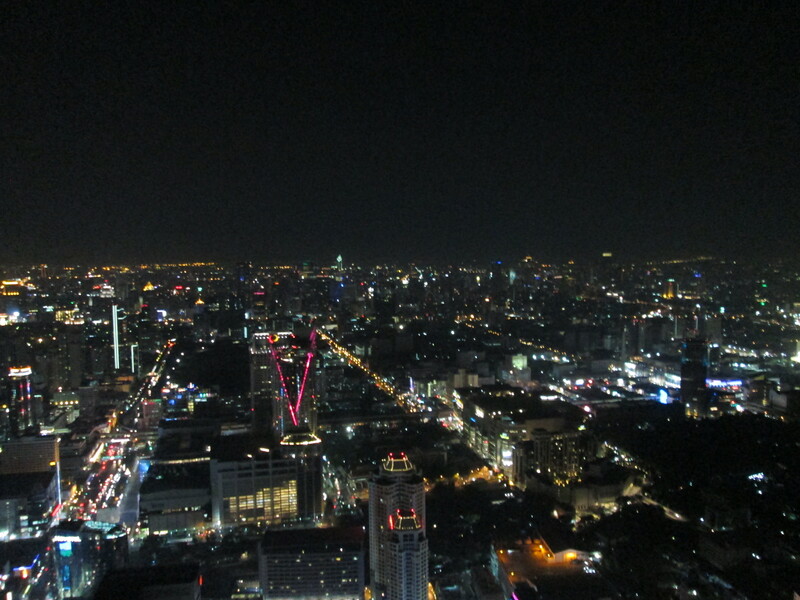 7PM – We had dinner in Baiyoke Sky Hotel. Bangkok Sky restaurant in particular (THB 800 per pax). Food is just ok, not too many choices, but the view from the top is just amazing (I guess that’s what we paid for). Book your Baiyoke Sky Dinner Buffet here. 10:30AM – Chatuchak Weekend market. For those who doesn’t know, BKK City hotel provides shuttle service to Chatuchak market. Just book it upon your arrival because only 12 guest per day is allowed on a first come first serve basis. Chatuchak is nice, but for us, the choices in Pratunam is a lot better. Cost is the same and sometimes, it is much cheaper in Pratunam because you can get more discounts in Pratunam than in Chatuchak. Some stores in Chatuchak don’t offer discounts and is quite touristy. I also don’t see locals shopping here while in Pratunam, there are lots of locals shopping. I think this is like the Ben Thanh Market in Vietnam where only Tourists shops. But still, you can buy lots of items here as we did bought a lot here too like souvenir items and band shirts (though mostly fake and I think they get their items from one supplier). Street food in Chatuchak is awesome though. Food stall in Chatuchak. Lots of food choices here, just don’t be picky. 5:15PM – Siam Niramit. I booked in Hotels2Thailand with hotel transfer (no food) which cost THB 1348.5. Show starts at 8, but you won’t be bored if you arrived early. There are mini shows outside and you can ride an elephant for THB 200 for 30 mins I think. We didn’t try it. As for the show, all I can say is it was amazing! A must! You can also book your ticket here in Klook, it’s cheaper! Went to the airport for our 9:30AM flight. Good thing this is our last day (and early flight) since a local (vendor in Chatuchak, he was so nice btw) informed us last January 12 that there would be demonstrations and protests on January 13. And yes, he was right. After we left, there were demonstrations and protests in Thailand. There was even a day when it got violent. We are very thankful we toured Bangkok safe and sound. Bye Bangkok. We’ll be back soon. 🙂 Pic taken at Suvarnabhumi airport. 1) Always go for taxis that only charge through meter. If it is not metered, just wave NO and try to hire the next one. 2) BTS is very convenient. For us, it’s ok if you don’t purchase a Rabbit card because it’s just so easy to buy a ticket and won’t take you long unlike our MRT in the Philippines. But of course, for convenience, you can buy one. Thais are very disciplined when waiting in line. 3) Eat where the locals eat, shop where the locals shop. 4) Surprisingly, most people there can understand and speak a little English so don’t worry in communicating in English. If no read/write English, then just use Sign language or maybe learn some Thai phrases. You can download some apps with language Tutorials with audio. In my case, when I talk to them in Thai, they will also answer in Thai which you won’t understand. So it’s ok to just speak to them in English. 5) BKK City Hotel is nice. Book the top floors for some peace and quiet and for breakfast, just go there before 7AM so that you can have a table. Breakfast is always the same, but it’s ok. Everyday they give you a bottle of water and everyday they clean your room. Taxi from BKK to Airport is THB 400 (The service inside BKK Hotel. It’s for 1 – 4 persons). 6) The line in the immigration in Bangkok is very long so be sure to arrive in the Airport at least 3 hrs before your flight. Their immigration officials are nice unlike in the Philippines. 7) Try their street food! Anything! Don’t be picky. As Andrew Zimmern said, “If it looks good, eat it!”. Or simply browse it all here. For tips on backpacking South East asia on a budget, click here. My family and I are going to Thailand po next March. I was wondering what was your total expenses?